I’m a sucker for OD&D. I love the simplicity of the original 1974 rules (3 Little Brown Books or LBBs). So I grab every clone or version of it I can find. I have the WOTC OD&D reprints, Swords & Wizardry Whitebox (WB), Delving Deeper (DD), Labyrinth Lord Original Edition Characters (OEC) and Seven Voyages of Zylarthen (SVoZ). I went to the original (using the reprints) for my most recent campaign, with some house rules. I never actually played OD&D back in the day – I was a tad too young when it came out, although later, when I was playing Holmes Basic and then AD&D 1e, I did have the OD&D boxed set and all of the supplements. When I got back into gaming with my kids, I started with Swords & Wizardry Whitebox (I still have the first print from 2009). It was perfect for that and I still really like that game. 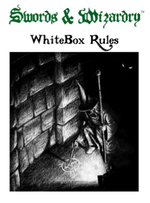 Indeed, a lot of the resources on this site started as things I used in my games, like the Whitebox reference sheets. I did not have many house rules at first, but slowly as I read more and was exposed to the OSR-verse, I built up a collection. WB is very much a toolkit for OD&D-like play, just reading through the rulebook you’ll see lots of options for the DM to choose from. It is not, however, a strict clone of OD&D. Recently, I had a chance to play Barrowmaze using Labyrinth Lord OEC, in some hangouts sessions. OEC is interesting – it is an attempt to emulate the feel of OD&D using Labyrinth Lord (B/X) mechanics. It succeeds, but has some flaws that make it difficult to play. For starters, ability bonuses are capped at pre-Greyhawk levels (i.e. no strength bonuses, other bonuses capped at +1), but the rules assume using the standard d Labyrinth Lord monsters, with their d8 hit dice and variable damage or multiple attacks. A lot of the racial and class abilities present in OD&D are missing – like the fighter’s ability to attack more than once per combat round, or the Elves’ ability to move silently. Our group found it very deadly, to the point where the DM switched back to the core Labyrinth Lord rules (and this is a group of old-school gamers used to having characters die). 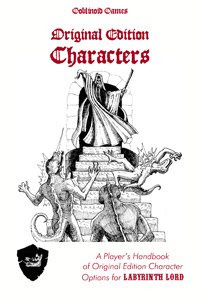 Delving Deeper probably comes closest to an idealized OD&D clone – one in which the rules are unambiguous and organized well, sourced from just the three original booklets and Chanmail. Perhaps this thread at the ODD74 forums sums up the roots of DD best. It is really OD&D with a sensible collection of house rules and rule interpretations, all in one tidy package. I’ve been in a DD play-by-post game for almost a year now, it really seems indistinguishable from OD&D to me (at least, what I envision O D&D was like in 1974, I may not have played it but I’ve certainly read accounts of how it was played). 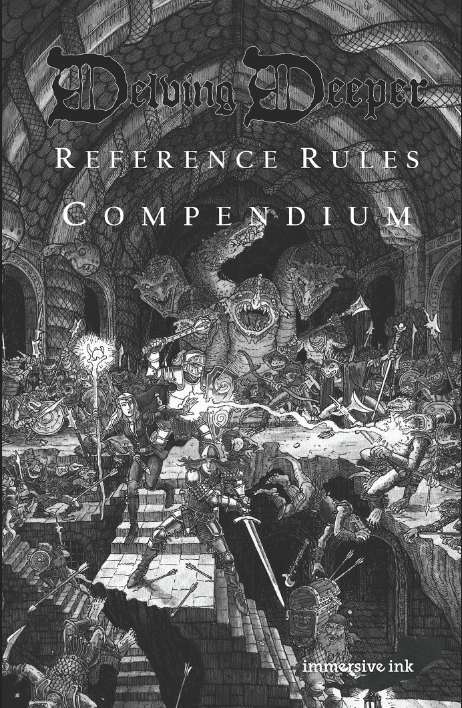 This thread about the release of the POD version of the Delving Deeper reference rules at the ODD74 boards got me thinking about house rules. They are damned fun to write and tinker with, but in the end, you can play with a game like Delving Deeper as a base and not have to change anything at all to actually play OD&D. Compare this with just the original 3 LBBs, house rules are a must. 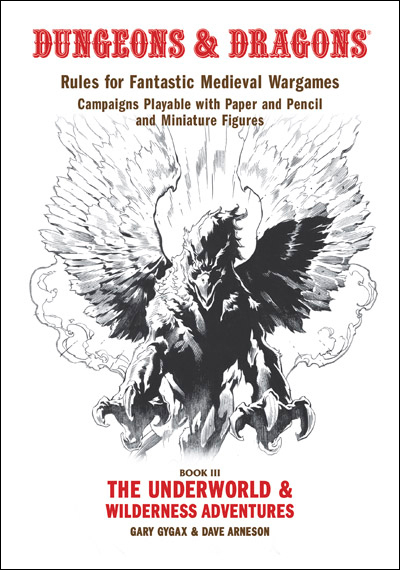 I would grab DD if you just want to quickly get an ‘authentic’ OD&D game up and running, all the PDFs are free and the reference rules are online as an indexed HTML page. 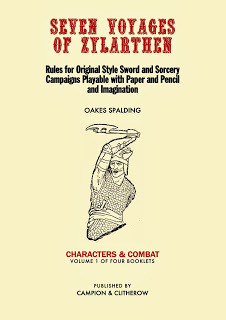 Perhaps the most intriguing of the OD&D clones is SVoZ. As the author says, this is not really a retro-clone, but a neo-clone that uses the 1974 OD&D rules as a template. This is the only one of the group I have not yet played, but I’ve read the rules and they do indeed feel like OD&D, as much as many of the rules are different. Perhaps the biggest change with SVoZ is the lack of Clerics, they are replaced by a simplified Thief class, while Magic-Users gain access to the standard list of Cleric spells and any PC can turn undead. But there are many other clever changes and additions that give this a unique feel from the others. The PDFs are available for free from lulu, or you can buy the four booklets in digest format. Thanks! Speaking of OD&D campaigns…we need to get back to the Dwarven Mine! Alien Orifice (my extraterrestrial megadungeon campaign) is based on OD&D/S&W WhiteBox, but with thieves (“robbers”) replacing clerics. I must take a look at Seven Voyages of Zylarthen. Thanks for highlighting it. Thanks for the comment. I was reading your other OD&D tagged posts at your blog, and I really like your idea of the thief/robber as a tomb-raider type. I also read http://clawcarver.wordpress.com/2013/02/06/wondring-aloud-what-use-is-wisdom-in-cleric-free-dd/ – In SVoZ wisdom is used to give a bonus to turn undead. Since there is no cleric and all the classes can turn, this sort of saves wisdom from its fate as a dump stat.